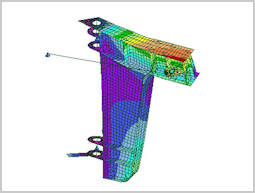 Rig Engineering MSc graduates Civil / Structural Engineers are fully conversant in the use of FE method to find optimised design solution to overcome any operational problems and constraints. 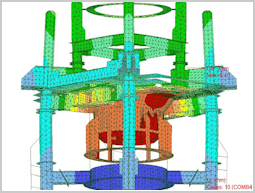 Analysis can be provided for global investigation of entire rig structure, as well as local components, such as stability columns, pontoons, derrick etc., Local welding detail can be investigated using advanced structural analysis capabilities included in software Autodesk Robot Structural Analysis, Autodesk Algor, Staad Pro, DNV PULS. 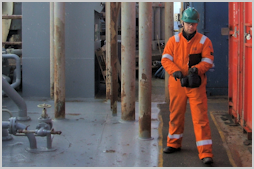 Where required, stress intensification factor can be provided for mechanical and structural component to assist with In Service Inspection of drilling units, crack repairs and general Inspection Repair and Maintenance (IRM) activities. 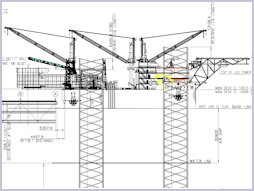 Creation of fabrication drawings, design drawings, providing draughtsman for onsite work fully equipped with CAD system/Notebook computer. Post processing of Point Cloud Laser scan using perpetual LFM SERVER license to interrogate and extract data for subsequent engineering design, fabrication and clash check. Design, qualify and analysis of pressure vessels according to ASME BPVC Section VIII Division I using perpetual COMPRESS software, calculation of corrosion allowance / tolerable wasted thickness according to DNV and API/ASME. 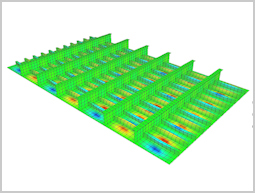 Computer Aid Analysis to verify Code conformance to ASME B31.1, 31.3,31.4, 31.8 and ASME Class II or Fitness for Purpose Analysis. Critical components e.g. 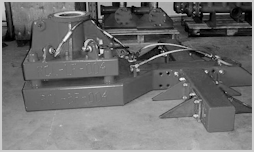 weld, bends, flanges and pipe supports etc are highlighted and customized Fitness for Purpose thickness monitoring regime installed for all the structurally critical areas. 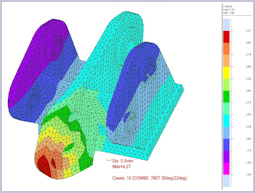 Provide In Service components and system level wall thickness measurement limit for crop and renewal. Survey works are taken to harness and gather design criteria for subsequent works onshore in our office. Where required and warrant, we pre arrange the services of Laser Scan to collect Point Cloud laser scan data and use our perpetual LFM SERVER license to post process the laser scan to conclusion. Provide Welding Engineering, structural calculation for rig modification and upgrade. Provide in service structural defect database compilation Text and Graphics Whole of Life Defect History. Provide customized repair manual etc. Review structural deficiency during Special Periodical Survey (SPS) and provide field repair and fatigue life improvements Site Welding Instruction Sheet (SWIS). 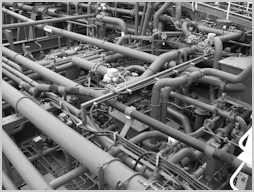 Provide Third Party Quality Audit on fabrication, welding, shipyard project, Client Representation during IRM and shipyard Literature Survey (Database Search) for all your projects, studies and any required technical topics. 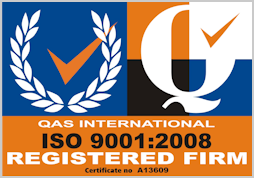 We act on behalf of client to follow up on Technical Submittal, feasibility study, clearing off the Outstanding Recommendations (OSR) and represent client to assist with Auditing Process, invoked by Oil Company during pre award visit.